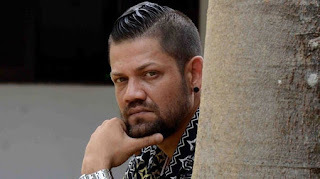 Actor Ryan Van Rooyen and four more suspects, who were arrested with ‘Makandure Madush’ at a party in Dubai, have been deported to Sri Lanka last night (03), the Police Spokesperson said. They had arrived at the Bandaranaike International Airport (BIA) at 5.25 a.m. this morning (04). Upon their arrival, the Criminal Investigation Department had taken them into custody at the Bandaranaike International Airport. On February 5th, the Dubai Police had arrested ‘Makandure Madush’ at a party which involved drugs. Several prominent underworld figures and Sri Lankan celebrities including singer Amal Perera, his son Nadeemal Perera, actor Ryan Van Rooyen were also taken into custody at this party thrown by Madush. ICC points to female involved in match fixing !